Northborough – Dennis M. Litwinetz, 75, passed away peacefully Feb. 1, 2019 at Rose Monahan Hospice House, while surrounded by the love of his devoted family. Dennis was born and raised in Nesquehoning, Pa., a son to the late Michael and Olga (Sobol) Litwinetz. He was a member of Nesquehoning High School’s class of ’61. It was during this time he met the love of his life, his high school sweetheart and future wife of 50 years, M. Jane Trevena. After high school, Dennis honorably served in the U.S. Navy, and upon his return enrolled in Penn State University where he earned a BS in Computer Science and later, a Master Degree from University of Lowell graduating with high honors. 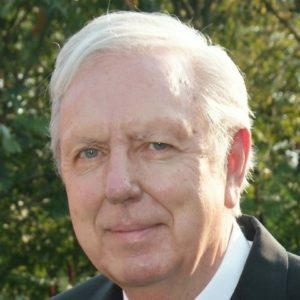 Dennis worked most of his career as an electrical engineer for Digital Equipment, Compaq, and Hewlett Packard Corp and held patents for his work. Even in his retirement he enjoyed tinkering with old computers. He looked forward to going out for Sunday morning breakfasts and was a New England sports enthusiast as well as a loyal follower of Penn State football. More than anything Dennis loved spending time with his family. In addition to his wife M. Jane, Dennis leaves a daughter, Laura J. Litwinetz and partner Kevin Kelly of Quincy; a son, Jason M. Litwinetz and his wife Tina of Rutland; and his precious granddaughter, Kaitlyn, whom he was so proud to babysit for. Dennis also leaves a brother, Paul Litwinetz and his wife Susan of Boulder, Co., and four nephews, Michael and Greg Touchton and Matthew and Bill Trevena. Dennis shared a special bond with Matt and Bill and considered them more as sons than nephews. Dennis also leaves his childhood friend, John Kominitsky, and close friend, Bernie Hall. Dennis’ family respectfully request any memorial contributions be made to the Parkinson’s Foundation, 200 SE 1st St., Suite 800, Miami, FL 33131 (https://parkinson.org) or to the Rose Monahan Hospice House, c/o VNA Care-Fund Development Office, 199 Rosewood Dr., Suite 180, Danvers, MA 01923. Calling hours will be held Thursday, Feb. 7, from 5-7 p.m., at Hays Funeral Home, 56 Main St., Northborough. Dennis’ funeral will be held at in the funeral home Friday, Feb. 8, at 10 a.m. Burial will military honors will follow in Howard Street Cemetery.